Are ACE inhibitors like enalapril and captopril beneficial? From our personal experiences (which of course may or may not be the norm), enalapril or captopril are drugs that are commonly prescribed following heart surgeries for children with congenital heart defects. The focus of this blog is for us to understand why these drugs are prescribed and what the evidence says about whether or not they are helpful for patients with congenital heart defects. Enalapril and captopril are both angiotensin-converting enyzme (ACE) inhibitors. Angiotensin is an enzyme that causes blood vessels to constrict (“vasoconstriction”), which can raise blood pressure. Drugs like enalapril and captopril inhibit the action of this enzyme angiotensin and therefore prevent vasoconstriction and instead cause the blood vessels to relax or dilate (“vasodilation”). Both drugs can be prescribed to adults for high blood pressure (hypertension), are also prescribed to adults for preventing heart failure after they have had a heart attack, and are often used (successfully) for children or adults that show signs of congestive heart failure (e.g., Rosenthal et al., 2004, J Heart and Lung Transplantation 23, 1314-1333). 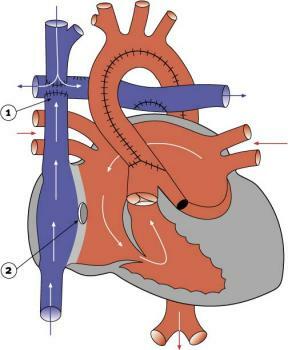 One of the issues present with some patients with congenital heart defects, especially in patients following the Fontan procedure, is “pulmonary arterial hypotension” where the blood pressure in arteries going towards or in the lungs (hence pulmonary) is lower than in individuals with normal heart function (discussed to some degree here). One way to increase blood flow to the lungs is to dilate the arteries going to the lungs. Because ACE inhibitors like enalapril and captopril are vasodilators, they have theoretical merit in being used for children with congenital heart defects and in those that have Fontan circulation. The theoretical merit is that they would dilate the pulmonary arteries thereby increasing blood flow to the lungs. A second issue common in patients with Fontan physiology is that there is increased resistance in the blood flow around the body (systemic circulation). This could of course be because patients with Fontan physiology often exhibit low cardiac output where they have a lower total amount of blood flow pumped by the heart compared to those with structurally normal hearts (see here). However, it could also be because there are increased activity of substances that cause vasoconstriction. One way to relax the blood vessels and the flow of blood through the “tubes” in the body is to use ACE inhibitors like enalapril or captopril, which again should theoretically reduce the “vascular resistance” and hasten the flow of blood throughout the body. Because ACE inhibitors like enalapril and captopril dilate the pulmonary arteries and should theoretically increase blood flow to the lungs (first ‘problem’ above) and decrease vascular resistance (second ‘problem’ above), they have often been prescribed to patients waiting for the Fontan procedure or with Fontan physiology. First Study: Randomized double-blind, placebo-controlled studies (the gold standard experiment in medical research) are extremely rare in patients with congenital heart disease. However, one such study was done >15 years now regarding the effects of the use of enalapril on patients with Fontan physiology. Kouatli et al. (1997, Circulation 96, 1507-1512) used a randomized double-blind, placebo controlled study to investigate how enalapril affected the exercise capacity of patients after they had undergone the Fontan procedure. As we have discussed elsewhere, exercise capacity seems to be an extremely important trait in assessing how patients with Fontan physiology are currently doing as well as predicting how they will do in the future (see here). In addition, previous studies in adults show that ACE inhibitors in children and adults without congenital heart defects can improve their exercise capacity (e.g., Kramer et al., 1983 Circulation 67, 807-816; Lloyd et al., 1989 J. Pediatrics 114, 650-654). In this study, patients (18 of them) were at least 8-27 years of age, had undergone the Fontan procedure from 1984-1994 and from 4-19 years before this study, and were able to exercise, did not have congestive heart failure, or protein-losing enteropathy, and were not dependent on ACE inhibitors. Before the study, they had the patients undergo a routine exercise test where they pedal a seated cycle until the point of exhaustion. They also measured characteristics of their overall heart function prior to exercise (‘baseline’ levels). They measured several variables before and during the exercise test including arterial oxygen saturation, heart rate, respiratory rate, blood pressure, and cardiac output (total volume of blood being pumped by the heart). The patients also underwent an echocardiogram. They gave patients a single dose of enalapril adjusted for weight or a placebo each morning for 10 consecutive weeks. They then did the same exercise test again 10 weeks later where they measured these characteristics of heart function at baseline and during exercise. They found that enalapril had no beneficial effects on any aspect baseline measurements or on exercise capacity or performance. Those patients that had taken enalapril did not differ in their heart rate, respiratory rate, blood pressure, arterial oxygen saturation, cardiac output, and other measures before (baseline) or during exercise compared to those taking the placebo. Somewhat surprisingly, patients that had been taking enalapril actually had reduced cardiac index (amount of blood flow pumped by heart controlled for variation in body size) during exercise compared to those taking the placebo. Basically, during exercise, the cardiac index is going to increase compared to baseline as your heart starts to work harder it pumps more blood. What they found was that the cardiac index of patients that had been taking enalapril did not increase as fast from baseline to during exercise compared to those taking the placebo. There was also no obvious improvement or change in heart function between patients taking enalapril or placebo using the echocardiogram results. This is of course a very small study (18 patients) and the authors discuss how they may have not used a high enough dose of enalapril or administered it for long enough to detect any positive effects of enalapril on heart function. Additionally, the presence of side-effects in patients taking enalapril was similar to those taking the placebo, suggesting that taking enalapril did not have any negative effects but it also did not have any positive effects at least on these variables measured. Second Study: Endothelial dysfunction is thought to be a sign that eventually leads to a variety of heart disorders in children and adults that do not have congenital heart defects. Moreover, patients with Fontan physiology can show endothelial dysfunction where the lining of the inside of blood vessels (‘endothelium’) acts abnormally. Patients with Fontan physiology tend to have reduced exercise capacity (see here) and a more recent study suggested that endothelium dysfunction may underlie some of this reduced exercise capacity (Inai et al., 2004, Am J Cardiol 93, 792-797). In this study by Inai et al. (2004), patients with Fontan physiology had abnormal endothelium functioning where they had an impaired ability to dilate their blood vessels. Patients with Fontan physiology with a lowered ability to properly dilate their blood vessels also fared poorly during exercise. This is of course likely because during exercise, the blood vessels dilate to saturate the working muscles with oxygen. Not being able to properly oxygenate working muscles during exercise because of endothelium dysfunction may generate the reduced exercise capacity observed in patients with Fontan physiology. In another study, Jin et al. (2007, Int J Cardiology 120, 221-226) examined if administration of the ACE inhibitor to patients with Fontan physiology could improve their endothelium functioning (ability to dilate blood vessels during exertion) and thereby improve their exercise capacity. They enrolled 44 patients aged 5-29 years that had Fontan physiology and 25 health controls aged 5-27 years. 61% of the patients with Fontan physiology were taking an ACE inhibitor like enalapril (50%) or captopril (11%). In agreement with the previous study by Inai et al. (2004), 22% of the patients with Fontan physiology had endothelium dysfunction (inner lining of blood vessels did not dilate appropriately) and 34% of patients with Fontan physiology had both endothelium and smooth muscle dysfunction (whole blood vessel did not dilate appropriately). In support of the idea that taking ACE inhibitors is beneficial for patients with Fontan physiology, Jin et al. (2007) found that patients taking enalapril had better endothelium functioning than those with Fontan physiology that were not taking enalapril (though the difference was not statistically significant). This study, though again a quite small study, indicates that patients with Fontan physiology can have improved functioning of circulatory performance by taking an ACE inhibitor like enalapril. These results from only two studies are interesting but the theoretical advantages of taking enalapril and captopril seem to outweigh any negative side-effects, at least with respect to how these drugs are currently prescribed. Drugs like enalapril and captopril are commonly prescribed to patients with congenital heart defects even though there is little scientific evidence that chronic use of these substances by patients with Fontan physiology has beneficial effects. For example, in a recent survey of 546 children aged 6-18 years that had undergone the Fontan procedure at 7 major centers in North America (Pediatric Heart Network), 58% of them were taking an ACE inhibitor like enalapril or captopril upon enrollment in the study (Anderson et al., 2008 J Amer Coll of Cardiology 52, 85-98). Presumably, doctors believe that the beneficial effects of ACE inhibitors are present but undetectable or not yet discovered because of the lack of appropriate medical studies. However, apparently some doctors at some of the hospitals in the Pediatric Heart Network recognize the little evidence that there is in the use of ACE inhibitors as the prescription of ACE inhibitors by patients at these 7 major hospitals in North America can vary from ~30% of patients to ~80% of patients taking an ACE inhibitor (Anderson et al., 2010 Pediatric Cardiology 31, 1219-1228). 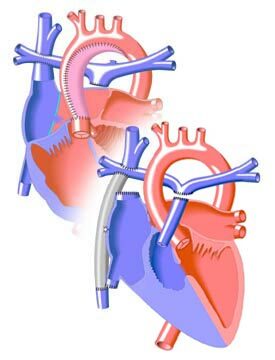 The relative lack of scientific evidence showing that ACE inhibitors like enalapril or captopril are beneficial for patients with Fontan physiology highlights that their use and prescription seems to be guided by other scientific evidence that these substances are beneficial for patients with heart failure caused by reasons other than a congenital heart defect. Basically, because ACE inhibitors seem to help middle-aged men with heart problems (Rosenthal et al., 2004, J Heart and Lung Transplantation 23, 1314-1333), they are prescribed for children or adults with Fontan physiology. Clearly more work needs to be done in this area to understand the costs and benefits of chronic use of ACE inhibitors and all other medications taken by patients with Fontan physiology. This blog doesn’t suggest that patients with congenital heart defects stop taking ACE inhibitors. All it does is explore why these drugs are prescribed and what the evidence says about their effects.